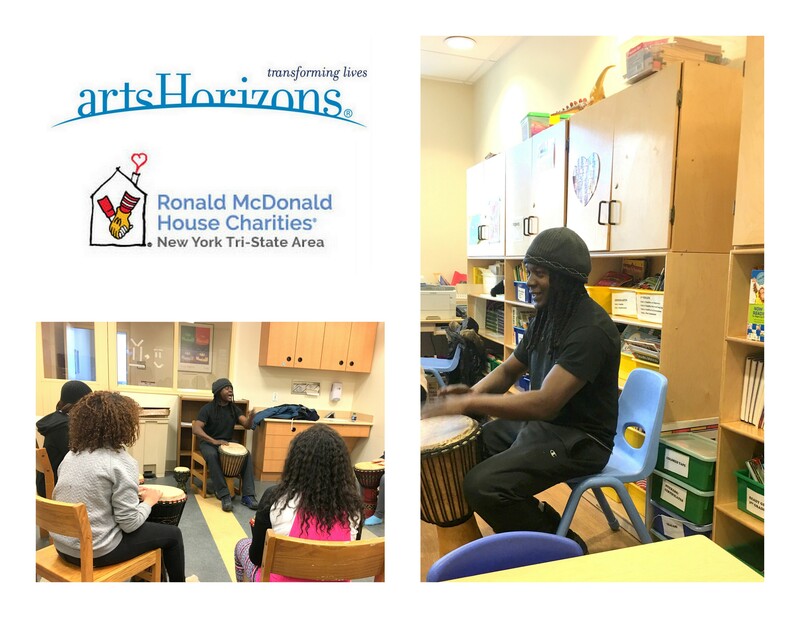 Arts Horizons is pleased to highlight and recognize the support of Ronald McDonald House Charities of NYC Tri-State Area in bolstering our Art Beat program for this fiscal year through a generous grant. 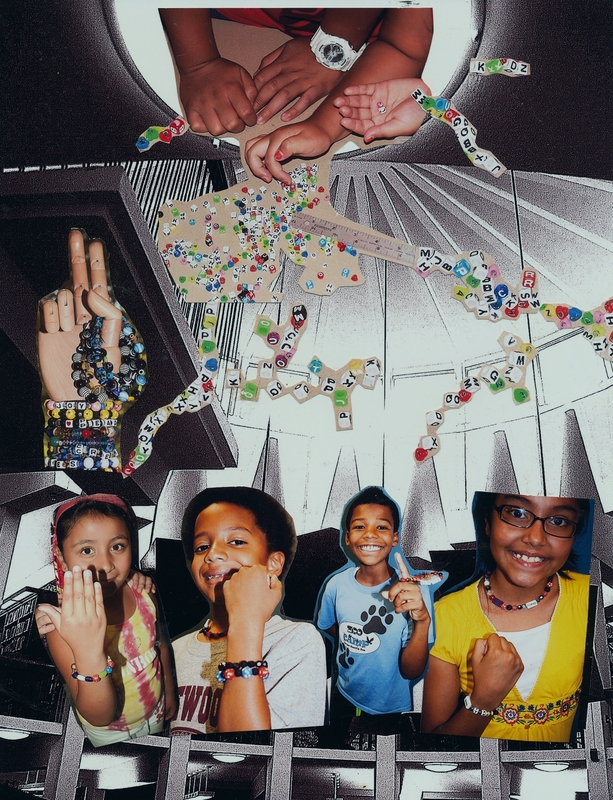 Art Beat is partnership between Arts Horizons and Hospital Schools, a division of the New York City Department of Education (NYCDOE) that provides educational services for all special education students who are hospitalized for extended stays. Art Beat provides interactive music and visual art workshops to promote rehabilitation, learning and cultural experiences for special needs students in an arts-rich, safe, creative, and emotionally uplifting environment. The program merges the fields of art, healthcare, and academics, to create a space of comprehensive education, healing and expression for special needs students with extended, and in some cases residential, hospital stays. 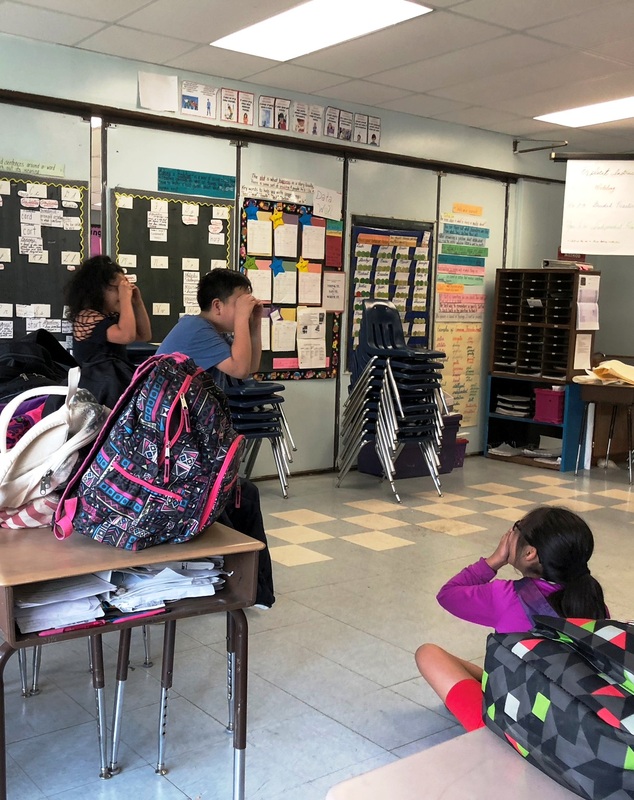 This collaborative effort was established in 2009 and has since been integrated into more than a dozen of the NYCDOE’s hospital school locations. Arts Horizons’ aim to expanding our arts education offerings to hospitals through Art Beat aligns well with Ronald McDonald House Charities of NYC Tri-State Area’s mission to “help as many children as possible achieve their fullest potential by supporting programs in education and the arts.” Arts Horizons is grateful for Ronald McDonald House Charities of NYC Tri-State Area’s generous support, and we look forward to nurturing and sustaining this fruitful partnership for years to come. Our 2017 Hospital Schools programs supported by the Ronald McDonald House Charities of NYC Tri-State Area take place at four hospital sites. Mr. Yah’aya Kamate leads percussion programs at Metropolitan Hospital Center and Mt. Sinai-St. Luke’s Hospital Center. 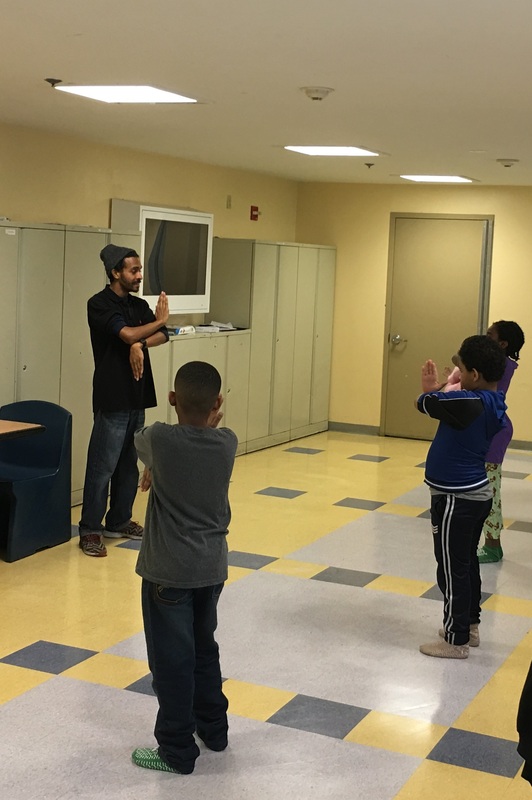 Mr. Shidaun Campbell leads students in Beatboxing and Dance at Bronx Lebanon Hospital – Fulton Center, and Ms. Tira Bluestone presents music programs to students Sunshine Children’s Home and Rehabilitation Center (part of Westchester BOCES). AH Program Coordinator, Kiran Rajagopalan, had the opportunity to see students play pulsating African rhythms on djembe drums at Mt. Sinai-St. Luke’s Hospital Center with Yah’aya. He also saw students use their own bodies as percussion with Shidaun at Bronx Lebanon Hospital – Fulton Center. Let’s take a quick peek into their Art Beat classes! For more information please contact Mr. Kiran Rajagopalan, Program Coordinator at kiran@artshorizons.org or Ms. Dena Malarek, Program Director at dena@artshorizons.org. 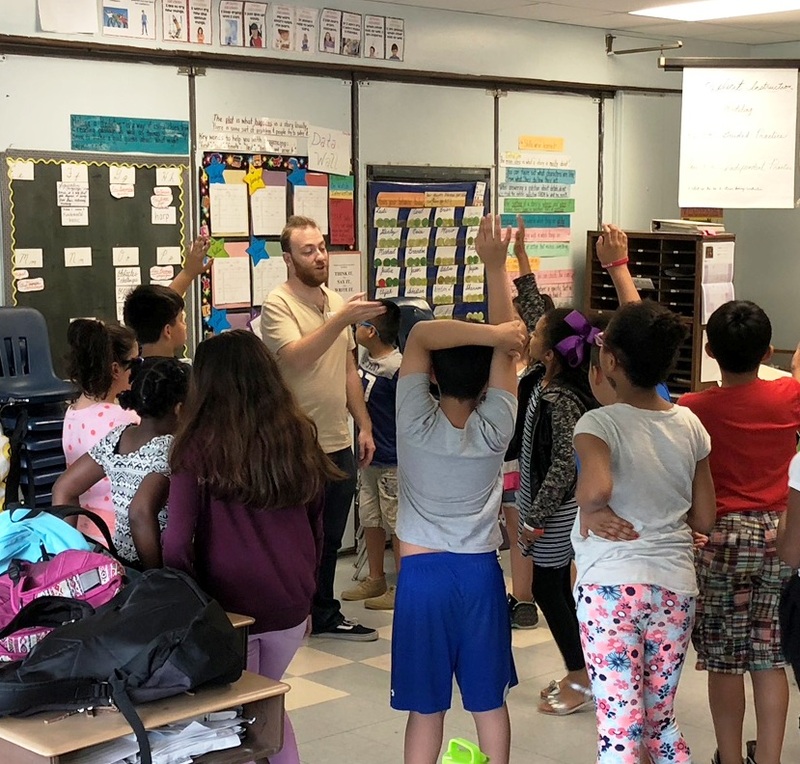 Arts Horizons, a premier arts-in-education organization located in Englewood, NJ partners with several Community and School based organizations in our community. Working with professional, highly qualified teaching artists who are masters in their field, Arts Horizons provides workshops in the Visual and Performing Arts to both in school and after school programs. With a grant funded by the Englewood Municipal Alliance Arts Horizons partnered with the Liz Corsini, Director of the ZONE at Dwight Morrow High School and the Janis E. Dismus Middle School to provide incoming freshmen with an in school assembly and a series of follow up summer workshops focusing on the theme of drug and alcohol prevention, conflict resolution and peer pressure. Through the Visual Art and Beat Boxing workshops, with teaching artist Yako Prodis, student participants were able to express themselves and their thoughts on peer pressure and drug and alcohol prevention through their art work and the music they created in the workshops. Each summer Arts Horizons works closely with the Englewood Youth Librarian, Lynn Kaminski, to enhance the Teen Summer Reading Program at the Englewood Library with arts workshops. 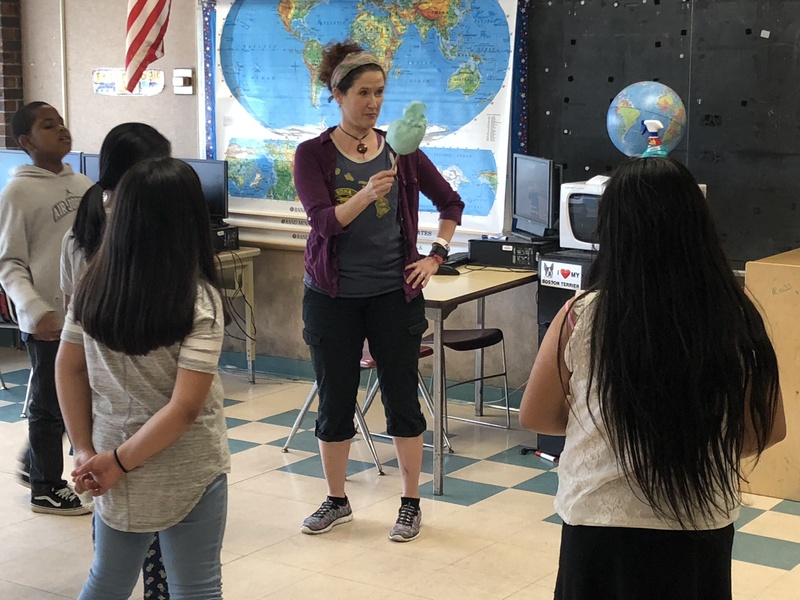 Funded by a grant from the Community Chest of Englewood, Tenafly and Englewood Cliffs, Arts Horizons provides teaching artists to conduct a series of visual art and music workshops. Teaching artist Mansa Mussa brings Wearable African Art to the participants, introducing them to the symbolism behind each item used to make the jewelry. Ritika Gandhi instructs the participants on the ancient art of salt resist painting using silk and fabric dyes to create an individual piece of art. Latin rhythms are brought to life as musician Hector Morales leads the participants in the Latin percussion workshops. Arts Horizons worked with the Edward Choi at the Bergen Family Center to provide an after school Visual Art residency to the students at Janis Dismus Middle School as part of their after school program. 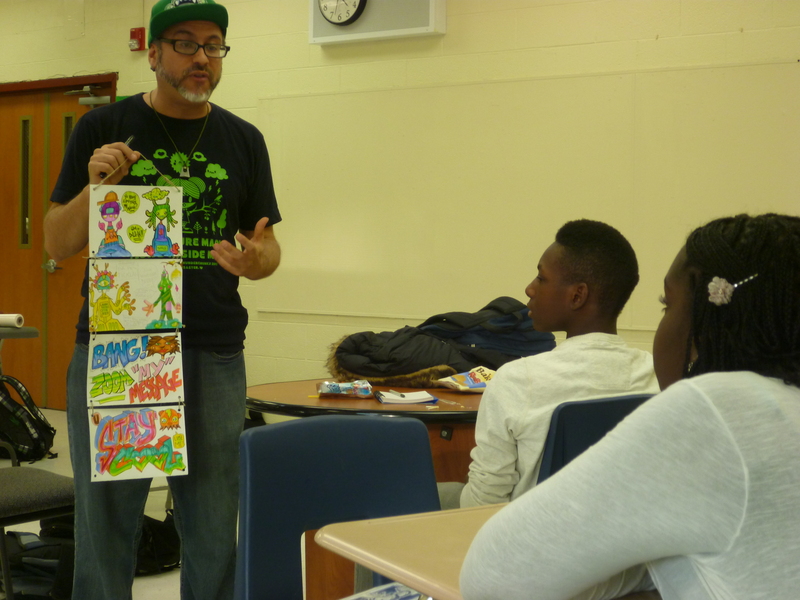 The “Urban Illustration” workshops led by teaching artist Aaron Lazansky, introduced students to graphic design and illustration through the creation of a “Drop Book”. 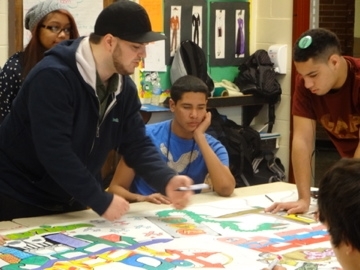 Students created their own art work focusing on contemporary character design using techniques such a graphic design, topography and illustration expressing themselves through the arts using popular youth culture. Each Student then assembled their individual art work into a “Drop Book”. A generous grant from the Englewood Rotary Club makes it possible for Arts Horizons to offer The Southeast Senior Center for Independent Living a series of Visual Art and Creative Movement workshops for its seniors. The hands on Visual Art workshops instructed by Mansa Mussa introduce senior participants to photography, graphic design and collage while demonstrating various concepts and techniques. The Creative Movement workshops led by master dancer and choreographer, Yahaya Kamate, are appropriate for all seniors who enjoy innovative exercise and dance. Please contact Michele Renaud at michele@artshorizons.org or 201.567.1766 x114 to book your program today!